We got into Seattle yesterday and interviewed Chris Camarda, winemaker/owner of Andrew Will Winery. We interviewed him at the Pike Place Market. Today we interviewed Bob Betz of Betz Family Winery. We also interviewed Ted Baseler, the president of Chateau Ste. Michelle. We had a great lunch at Barking Frog. We have been staying at Hotel Vintage Park. Tomorrow we are heading over to Red Willow Vineyards to film Mike Sauer. We will be staying at Desert Wind Winery/Hotel for one night in Prosser. Next day, Wednesday we have a meeting with John Bookwalter of J. Bookwalter Winery, we will meet Andy DenHoed of Wallula Vineyard, and we will also meet the winemaker Rick Small of Woodward Canyon Winery. The final meeting of Wednesday will be with winemaker Jamie Brown of Water’s Winery. We will spend two nights at Green Gables Inn in Walla Walla. On Thursday we will interview Jean-Francois Pellet the winemaker of Pepper Bridge Winery, Dave Merfeld of Northstar Winery, & John Frieman of Waterbrook Winery/Vineyards. Friday we will interview Marty Clubb the winemaker for L’Ecole No41 & then later have lunch and interview with Patricia Gelles of Klipsun Vineyards. Friday night we will spend the night at Prosser Precept Ranch. Saturday we will meet with Rob Newsom the winemaker/owner of Boudreaux Cellars. Afterwards we will head back to Seattle for our final night’s stay back at Hotel Vintage Park. We leave back for home on Sunday. So as you can see we are very, very busy! The WA state wine commission has really taken care of us. 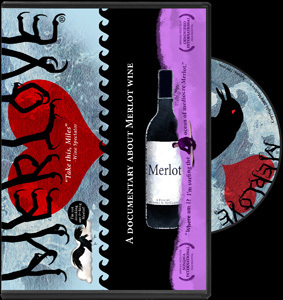 They set up our entire itinerary and have funded for us to film at all of these Washington state local Merlot producers. Even though we are going non-stop we are having a great time. We love Seattle! It is such a beautiful eclectic city amongst the evergreens. Absolute beauty and wonderful people and food surrounding us. It is all about diversity, just as in wine. Keep trying new things and you’ll learn to appreciate so much more in life. We can’t wait to see the different terrain tomorrow and check out the desert area where all the grapes are growing. I never thought about WA state having desert land. We were told that most people don’t even realize that it does have such vast desert land. It is also interesting to think about their wine regions growing at the same latitude as Bordeaux, but they do have some different types of soil due to glacial breaking and melt downs, etc. We are learning quite a bit. And I must say the small amount of Merlots we’ve so far tried have been quite amazing. Lots of structure and complexity. Some of the aromatics made me reminiscent of St. Emilion. Keep in tune with the Merlove website. Rudy has been Twittering and will continue leaving one liners about were we are and what we are doing. I will try to put some new Blog postings with pictures soon. We hope everyone is well.